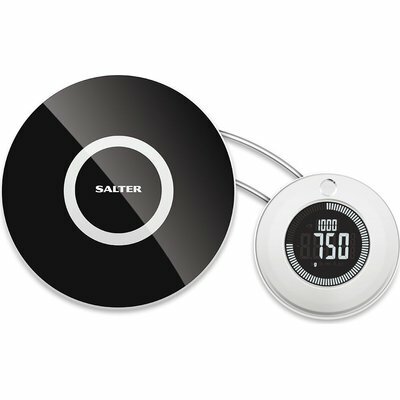 Featuring the innovative Target Set to Weight function, this Salter electronic digital scale turns weighing on its head. Instead of the usual method of adding ingredients and watching the digital display until you reach your desired weight, you set the target weight first by simply turning the dial. 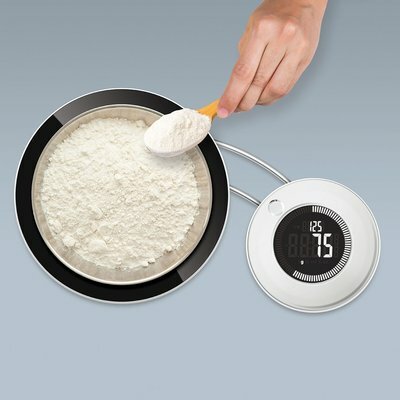 Start adding your ingredients - weighing them all together is fine thanks to the Add & Weigh feature. When you reach your target weight, the display turns green. Exceed it, and it alerts you by going red. 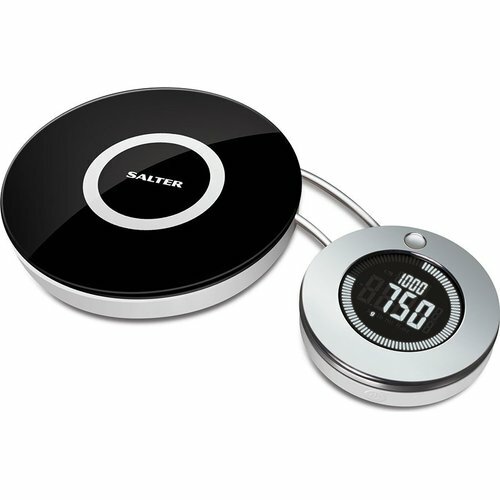 This exciting Salter kitchen scale gets even more cutting edge with an optional voice control function to make cooking and baking easier than ever. Watch the counter change from red to green as you add your ingredients!